Call 410-269-6031 For Fast Bail Bonds Help! 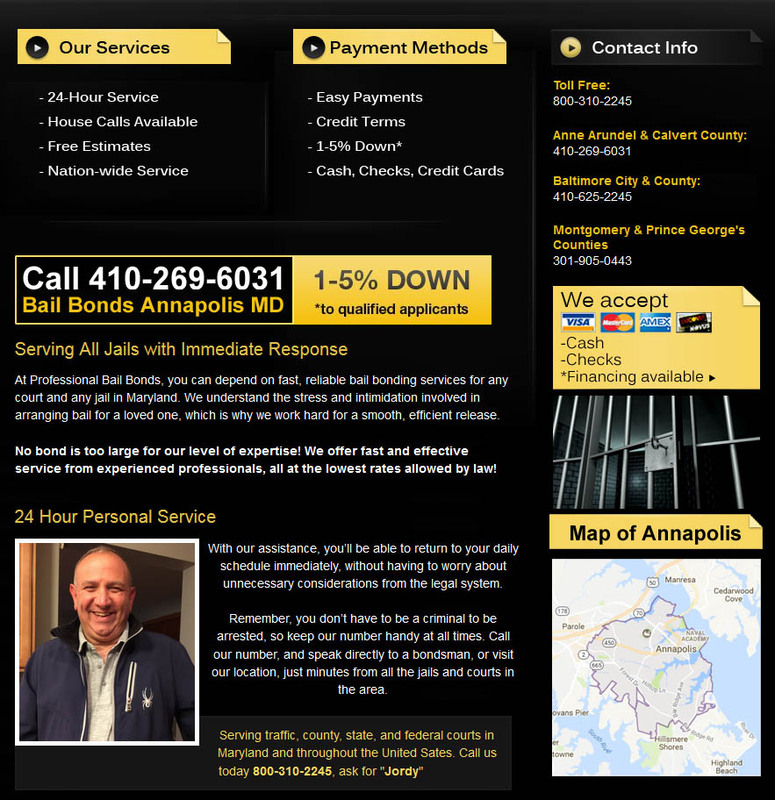 Professional Bail Bonds of Annapolis (www.BailBondsAnnapolis.com) is the premier Bail Bonds Company serving Annapolis, Maryland MD and the surrounding areas. Call 410-269-6031 to get bailed out now. We offer Bail Bond Service 24 hours a day, 7 days a week. Bail Bonds Annapolis Maryland MD 410-269-6031 © 2019. All Rights Reserved.